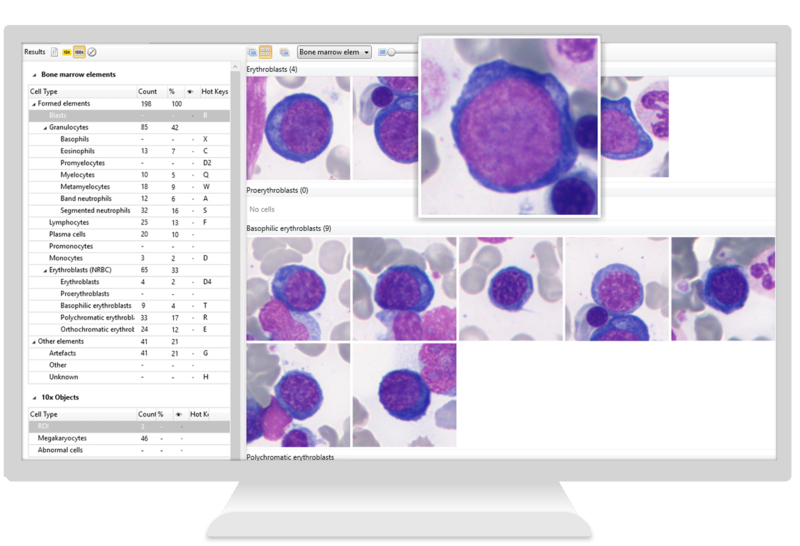 Microscopic examination of bone marrow samples is the most reliable method of evaluating hematopoiesis processes. 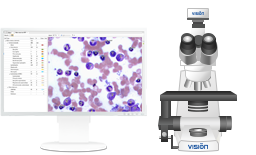 Vision Hema® Bone Marrow imaging analyzer automatically scans slides, identifies, pre-classifies and counts bone marrow cells. 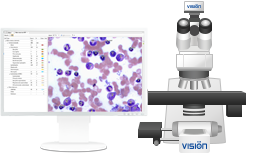 After that a specialist validates the results on a computer. 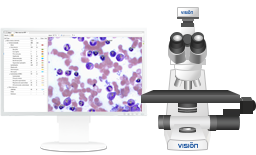 Vision Hema® Bone Marrow automates the process of bone marrow cells analysis. 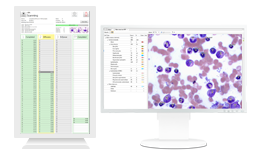 Select a system optimal for your laboratory workload.